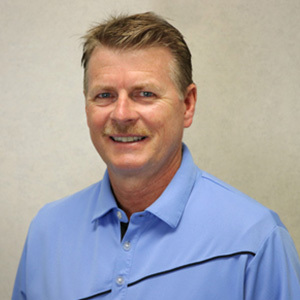 Dr. Bob has been helping people revitalize their health through gentle chiropractic care since 1986. He has been loyal to his profession and the members of his community for over three decades and continues to dedicate his life to optimizing the health potential of his many practice members. Dr. Bob began his journey into the world of health care as a surgical porter. While completing his undergraduate studies at the University of Waterloo, he transported patients to and from the operating theater in the hospital where he worked. While he appreciated the skill of his colleagues, he began to wonder why so many people, who were not involved in accidents, could become so sick. Through his studies, he learned that the nervous system is the quarterback for the many functions of the body. He reasoned that if that were the case, then it would also be true that that same system would be the cornerstone in regaining and maintaining a high level of health. This realization led Dr. Bob to enroll in chiropractic college, as this fascinating science incorporates the ideals in nervous system optimization. He attended Life University in Marietta, Georgia, for two years, and then graduated from Canadian Memorial Chiropractic College two years later, receiving his Doctorate in Chiropractic. Dr. Bob has dedicated over 30 years of his life to serving patients from the Kitchener community and beyond through chiropractic care. Outside the practice, Dr. Bob enjoys an active family life. He is married to Maxine, and the two like going for long walks together. He is also a big hockey fan and has spent many happy hours water skiing, playing tennis and hanging out on the golf course. We love to help our practice members achieve their health goals. Our team of professionals has the experience and expertise to assist with even the most difficult cases. Get in touch with Westheights Chiropractic now, and let us get started.